IF YOU EXPERIENCE ANY ISSUES with this mod, please make sure you have followed standard troubleshooting procedures for Skyrim before asking for help. I cannot promise support for any of my mods unless you BEGIN A BUG REPORT in the "bugs" tab of this page. If you submit a report, please explain the issue as carefully as possible, and provide exact steps required - preferably from the start of a new game - to reliably reproduce the issue. If I'm unable to reproduce the problem, it's less likely that I will be able to help solve it. ALL OF MY MODS are dedicated to the PUBLIC DOMAIN. This means that NO PERMISSION IS NECESSARY to reproduce them all or in part in any way you wish. 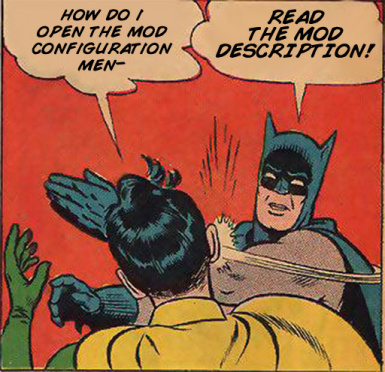 Keep in mind that some mods that include content by other authors may or may not require their permission. Also consider that uploading new versions of any mod will probably imbue you with plenty of support requests from the community, and handling them can be a large responsibility. 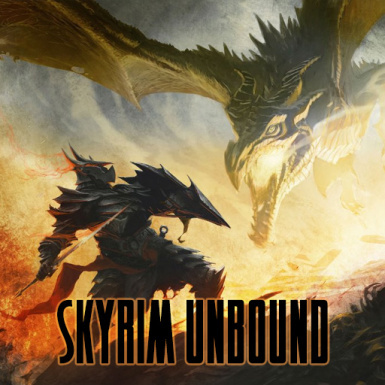 My activity as a Skyrim mod author has decreased greatly over the months and years, and it is unlikely that new features will be added to any of them, so if you are interested in officially taking over authorship of this or any of my projects, feel free to contact me. Same with me , can you fix it bro ? ...and over and over and over once more do I thank you for not only creating this but also for allowing others to use it. LOOT gives me 10 ITM errors for this mod, should they be cleaned or left alone? That must be because xEDit was updated as I don't recall there be any of those when I used this. So decide for your self if they should be removed or maybe the Author can take another look of the mod`? Is there a list anywhere about the starting locations?=? Or can someone suggest me a start where I would start in some interior where would be necromancers or vampires?? Draughr too.. I wanna roleplay as if I have been captured by these necromancers or vampires and I don't remember nothing of my previous life as a plus Dragurs could be there too but not a reguirement as long as there is vampires or necromancers help? I wanted something like that too, but for another RP idea (my character got unexpectedly teleported in time and lost all of their gear). Alas, the best option for me is to start naked in the 'wilderness', which isn't very bad, but sometimes these camps come with hunter npcs or low-level gear, and it ruins the RP a bit. As to your idea, the best thing I can suggest is starting in one of the forts, but you'll need to check the TES wikis to see which forts are held by bandits, which are held by mages, etc. Well I decided to switch to Alternate start mod as there was an option which fitted me fine. Wow, I thought the only decent Alternate Start mod was Live Another Life. This one is SO much better! Thanks! There are many questions being asked, and the answer is always "you can solve ___ by using the MCM." But what about those of us playing on console? I play on Xbox one. SkyUI is not available for Xbox one so I have no MCM. Even after using the spell and setting the dragon spawning a variety of different ways, dragons are not spawning at all. Not at word walls or randomly. The mod is at the bottom of the load order. You can use the spell to set the dragon spawning to timed delay but not choose how many days. You can set it for level delay but not set what level. So it really doesn't help. You're still stuck with the default for whatever those settings are and the mod description is very vague about them. For example default for timed delay is that they spawn at word walls after "a week or so" of in game time. Random spawns at "two weeks or so." And then they never spawn at all. There is an alternate mod to SkyUI called QDmenu or something like that. If I install QDmenu will it give me the MCM? Or are all console players just screwed? The options for this mod without SkyUI are extremely limited because the vanilla Skyrim menu system is a pain in the nutsack to create detailed options for. So yes, console gamers are screwed. Consoles are the drive-thru of gaming, PCs are the standing for hours in line and struggling with the piss poor attitude of the girl at the register who keeps getting your order wrong. The dragon delay system is probably vulnerable to getting interrupted by all kinds of things, predominantly an unstable game engine that doesn't seem to like script timers that run for long periods. It could probably benefit from being rewritten if I ever have the time to redo it from scratch. From my experience it is better to set dragon spawns to level delay and NOT time delay on heavily modded games. The former plays nicely along and dragons spawn exactly the moment they are supposed to, but the time delay setting is woonky and bugged out a playthrough of mine. Now that I think of it, it might have helped to spawn in a dragon via console commands to fix it, but I never did that. Can confirm on my installation with lots of script heavy mods timed delay breaks 100% of the time, but I've never had any issues with leveled delay.